The classic novel of a quest for knowledge that has delighted, inspired, and influenced generations of readers, writers, and thinkers. Susan Bernofsky’s magnificent translation brings out Hesse’s inspired lyricism and his elegant, melodious cadences, illuminating the novel’s universal themes and timeless wisdom about the human condition. 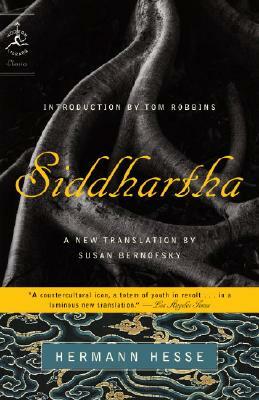 This original Modern Library edition includes a lively new Introduction by Tom Robbins and a glossary of Indian terms. Herman Hesse was the author of Siddhartha, Steppenwolf, and The Glass Bead Game. He received the Nobel Prize for Literature in 1946.